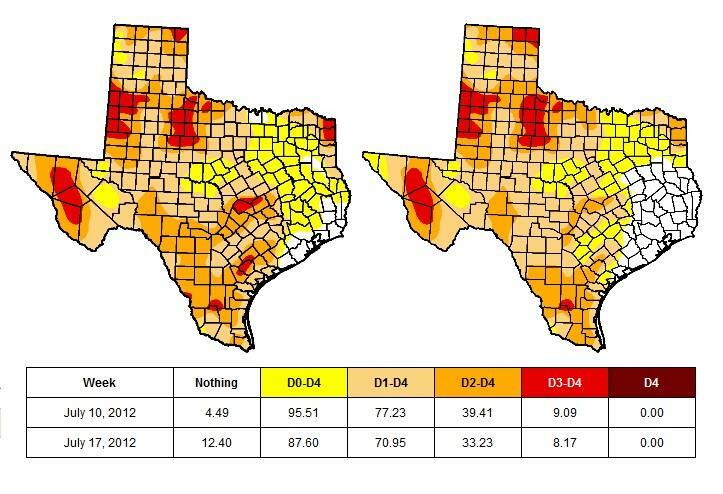 The drought conditions have improved across Central and Eastern Texas from the July 10 map (left) to the July 17 map (right). 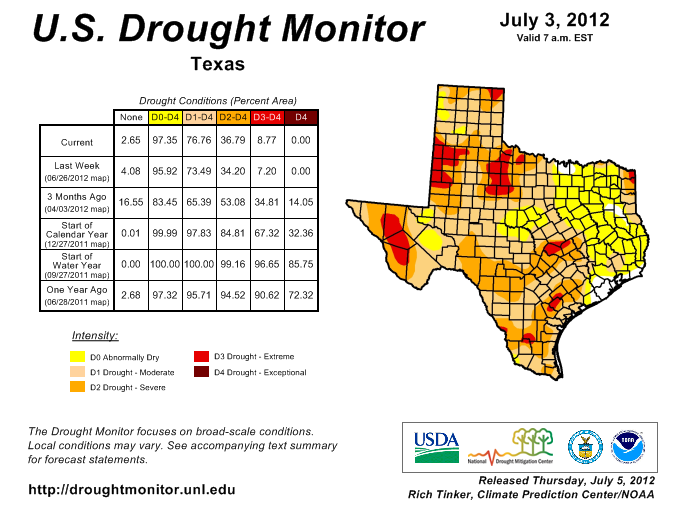 Summer is not usually a wet season for Texas. But Lower Colorado River Authority Chief Meteorologist Bob Rose says he’s optimistic the area could see some more rainfall and avoid worsening drought conditions in the very near future. 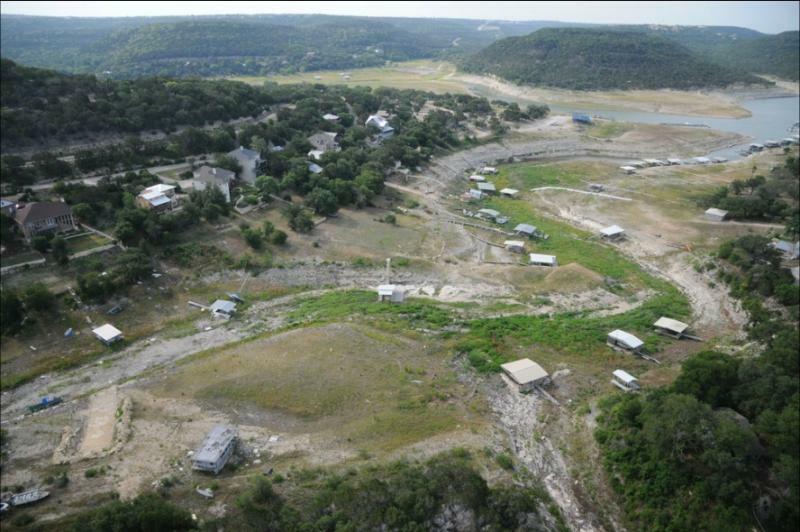 Both experts agree that real recovery will only come with a change in weather pattern that brings consistent rain. Our best hope right now is the return of an El Nino pattern this fall. 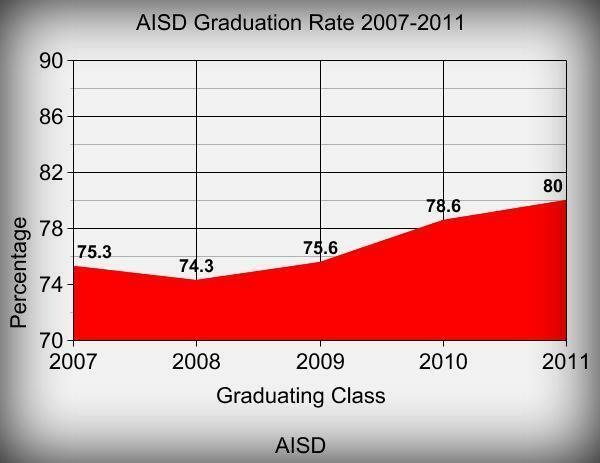 For the third year in a row, graduation rates are up in the Austin Independent School District. The class of 2011 graduated 80 percent of students – that's up just over a percentage from last year and about six percent higher than than in 2008. The Texas Education Agency says AISD made significant jumps in graduation rates specifically for economically-disadvantaged students and students who are still learning English. Debra Reedy, the Director of Assessment and Accountability for AISD, is pleased with those gains. “That’s kind of been our goal, certainly in the last couple of years, to really focus on those gaps within those student groups and to try to decrease the gaps,” Reedy says.